The FUNcube-1 launch service provider, ISIS Launch Services, has been very busy at Yasny these past few days. They have been integrating all their charges into ISIPODs and then mounting the ISIPODs onto the SHM (Space Head Module). 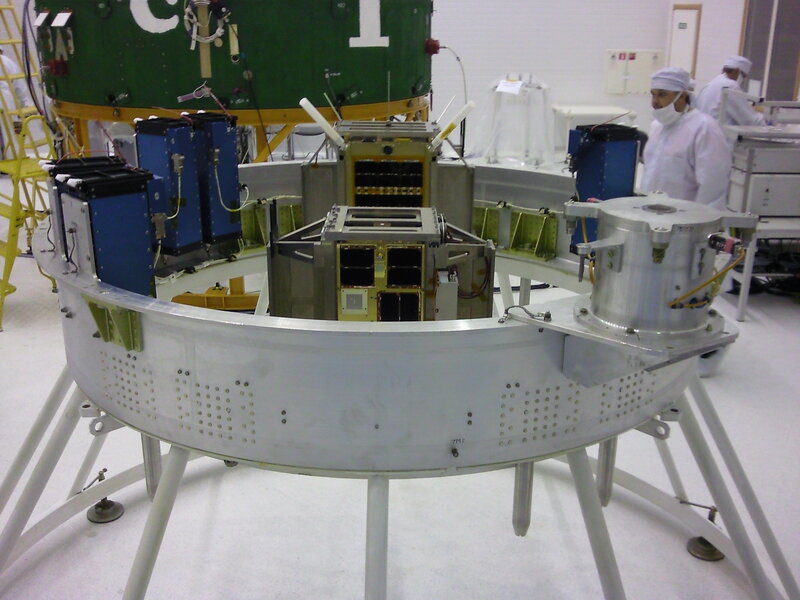 On Thursday, November 8 the ISIPOD that contains FUNcube-1 was mounted onto the SHM so it has taken the next step en-route to space! It is good to see the careful progress that is being made to ensure that FUNcube-1 has a smooth ride and all those involved in developing the satellite are very grateful to the team presently in Yasny who are making it all possible.